Sporting PostThe way we communicate has changed dramatically over the last 20 years. To get hold of my grandmother, one used to have to go through one of those fantastic ‘Nommer Asseblief’ telephone exchanges where the operator listened in to all the conversations and usually knew more about your family than you did! I grew up with a shared party line with a little dial to indicate when the line was free and a little box under the table that bored children could put their ears to and listen to the neighbours’ conversations. And now we have the cell phone. With all the telecommunication advances of the modern age, owning a cell or mobile has gone from being an accessory to a necessity and no self-respecting individual leaves home without their Blackberry, Android or Smartphone these days. Some people even have multiple phones to stay on top of their demanding business and social obligations. And the way we communicate has changed too. We don’t write letters, pick up the phone or even (shock horror) go and talk to someone face to face. We don’t have to go shopping anymore and with all the options at our disposal, we can buy music, clothes and even do the monthly groceries on-line. Our social life is taken care of too and you can have a roaring social life without having to leave the comfort of your home. You can play games, share photos and movies and chat to all your friends on-line and via your phone. We have My Space, Facebook, Twitter, LinkedIn, chat forums and a myriad other social networking platforms at our disposal and you can upload, download and burn and rip to your heart’s content. We now post, email, ‘poke’, SMS, BBM, or WhatsApp the people we want to communicate with. If we want to announce or share important information - a birthday, a birth, a change of address or relationship status - we do it electronically and we send out all our social invitations the same way - I’ve even received a wedding invitation via Facebook! Indeed, it seems that the only way to reach a human being these days is via a machine. With racing becoming such a competitive pursuit and our inroads into the public consciousness dwindling to ever smaller sections of the daily papers, it is becoming increasingly difficult to entice new people to the track to show them how much we have to offer. However, someone who likes a challenge and consistently adopts and embraces technological innovations is Mick Goss, the man at the helm of multiple award-winning Summerhill Stud. A visit to the Summerhill website is always an interesting and colourful affair. It is full of photos, videos, blog posts and news snippets. With the advent of the social media age, they have kept pace and launched their Facebook page a few years ago. While the Summerhill blog on the main website caters for the more seriously minded racing fan hunting for facts and figures, the Facebook platform is used to share the more relaxed and intimate side of the workings on the farm. There are photos of current runners and stories about retired Summerhill graduates and how they are getting on in their second careers. The Summerhill staff also engage in question and answer sessions with fans and it makes for a fascinating resource covering everything from sales prep, to injury management, to animal husbandry. It is done in a friendly and informal way and really provides a lovely layman’s insight into the Thoroughbred industry. For an industry that is traditionally looked on as being a hard and cut-throat business by the rest of the horsey community, it seems Summerhill’s campaign is definitely changing perceptions and warming people to the racing and breeding industry. 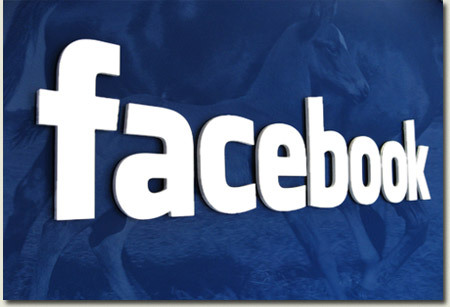 The most popular part of the Facebook page is the area where they post photographs of the new foals. Broodmare manager Annet Becker tells me that they were so inundated with comments and naming suggestions the first year they tried it, that they decided to turn it into a proper initiative. Facebook does not allow formal competitions, but Summerhill invited people to ‘Name A Champion’, with successful submissions getting to christen a foal. Robert Miller said that ‘The grace and beauty of the horse enthralls us today in the same way it enthralled caveman artists of many millennia ago. Horses are living works of art.’ It seems that the allure of the horse is as strong today as it ever was. With people like Mick and his team spreading the word, it is good to see that people can still be drawn back into the magic of racing.